Jerry G. Dyer, 79, of Byesville passed away Saturday (January 19, 2019) at his home surrounded by his family. He was born February 22, 1939 in Byesville and was the son of the late Charles O. and Elva A. (Potts) Dyer. Jerry retired in 2001 as a cement mason. He had worked for several construction companies and was a member of the Cement Mason Union #132. He attended Assembly of God, but always considered The Living Word to be his church. He was a 1956 graduate of Byesville High School. Upon graduation he joined the Navy where he served as an Electrician Mate for three years. Jerry was an avid reader, and his favorite author was James Michener. He enjoyed watching Jeopardy, and was well known for carving walking sticks and shepherd crooks. He was a member of Byesville VFW # 3760 where he enjoyed playing cards. Jerry enjoyed many things during his life, but doting on and spending time with his grandchildren were his pride and joy, he rarely missed an event and loved watching them participate in their chosen endeavors. 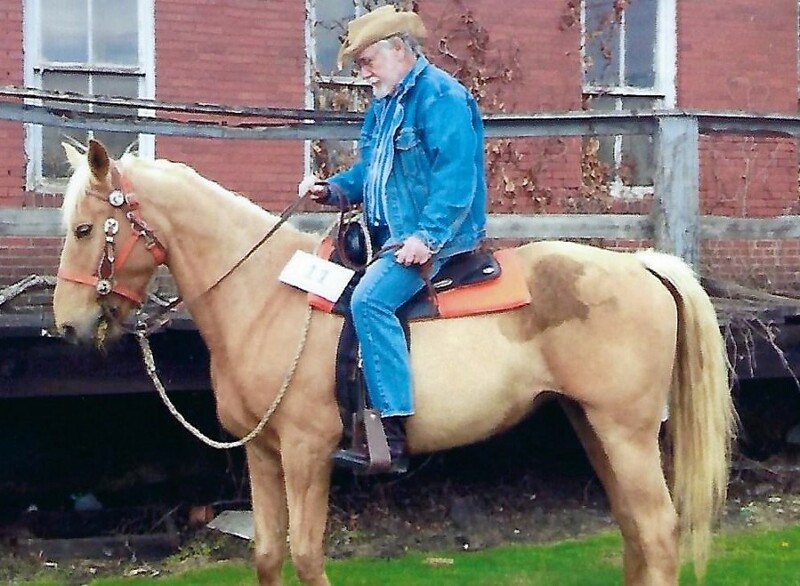 He dedicated 38 years of his life to the Living Word, where he played many characters, but his favorite was any scene that included his horse Ellie. In addition to his parents he was preceded in death by a sister Nellie (Dyer) Phillips. He is survived by his wife of fifty seven years Audrey (Shipman) Dyer whom he married August 12, 1961; four sons, J.D. (Melissa) Dyer of Pleasant City, Steve (Cassy) Dyer of Byesville, Matt (Abby) Dyer of Columbus, and Adam (Holly) Dyer of Old Washington; one daughter Susan (Cap) Zaleski of Massillon; two brothers, Jim (Rebecca) Dyer of Byesville and Gene (Susan) Dyer of Walhonding; eleven grandchildren, and his horse Ellie. Calling hours will be Wednesday from 5:00 p.m. to 8:00 p.m. at Black-Epperson Funeral Home, Byesville where services will be 11:00 a.m. Thursday with Pastor Joe Summers officiating. Burial will be in Clearfork Cemetery with military rites conducted by the Guernsey County Veterans Council. The family would like to thank Hospice of Guernsey, 2nd floor nurses at SEORMC, Rita, Charlotte, Sue, Beth and Candy, and a special thanks to Amber West. Memorial donations may be made to the Living Word, PO Box 1481 Cambridge Ohio 43725 or Hospice of Guernsey, P.O. Box 1165, Cambridge, Ohio 43725.